Back pain is very common, and most people experience back pain at some point in their life. Back pain can have a sudden onset for no reason, and can resolve itself within a couple of days or weeks. 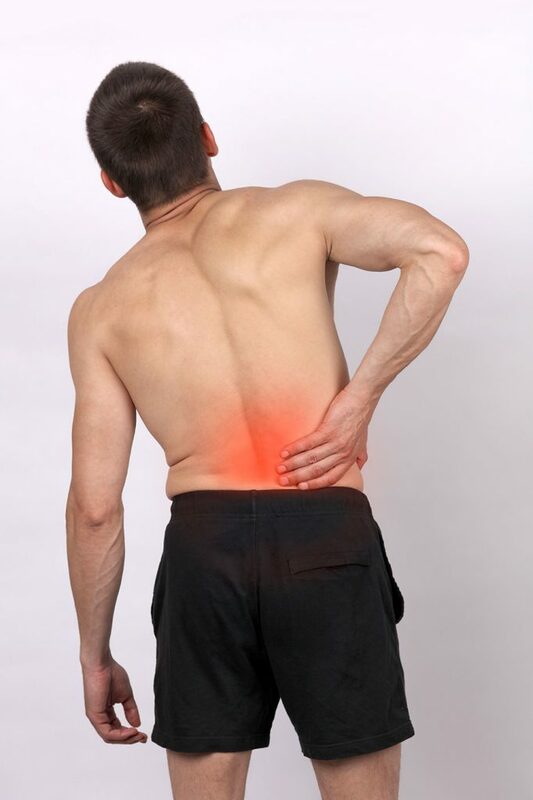 Back pain can also be constant, with varying levels of pain which never really go away. Any type of back pain can have a major impact on your quality of life. There are several things that can cause back pain. Back pain can result from poor posture, accumulated wear and tear to your body over time (regardless of the occupation or activities you engage in), as well as from an injury or accident. With increased age, the spine loses flexibility, which can increase the risk of getting back pain. Everyday activities such as reaching for/lifting an object, housework, gardening or even coughing/sneezing can lead to acute back pain, that can last for hours, days, months or even years. Poor Posture: Poor Posture puts extra stress on your spine, which can cause back pain. The muscles in your back can become overstretched and fatigued, which can put more pressure on your joints and nerves, leading to back pain. A physiotherapist can help relieve your back pain related to poor posture. Muscle Strains: Muscle strains are very common, and can range from mild to severe. Back pain from mild muscle strains can resolve on their own, however more severe strains may require physiotherapy to help reduce pain, promote healing and help to prevent future muscle strains. 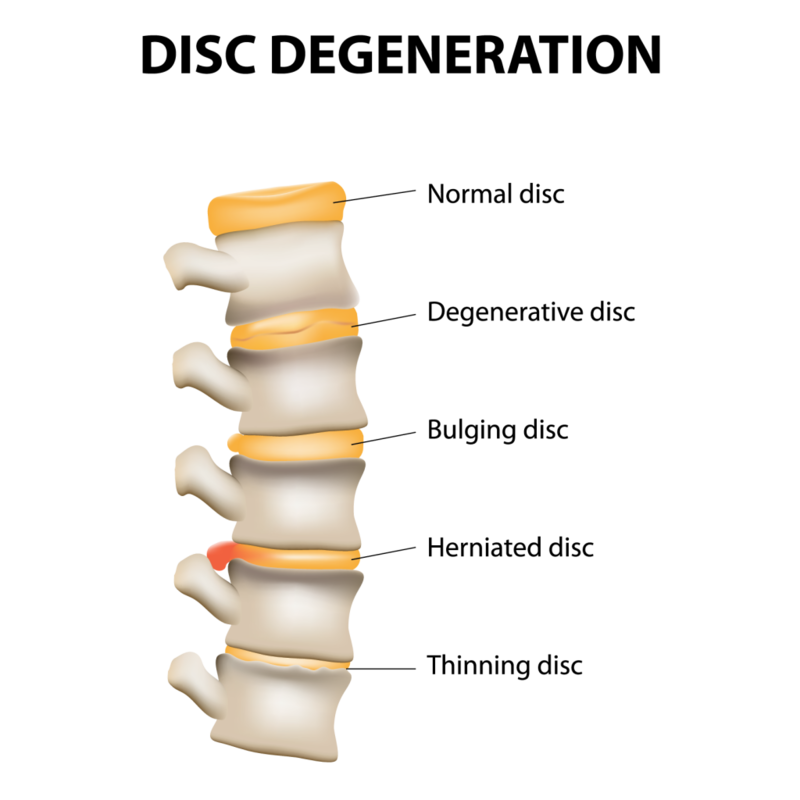 Disc Injuries: Discs are located between the vertebrae in the back, and act as shock absorbers. The interior of the disc is a soft jelly-like substance which can bulge, herniate or rupture. A bulging or herniated disc, can put pressure on the nerves, which can cause radiating pain into the lower abdomen, groin, leg and/or foot, along with back pain. Back pain resulting from disc injuries can be debilitating, and commonly occur from an injury, but can also result from stresses placed on them from lifting or twisting movements. With increasing age, discs thin, and harden, which can lead to degenerative disc disease, which can also cause back pain. A physiotherapist can help you manage or reduce back pain from disc injuries, and teach you how to help prevent future injuries to your discs. Arthritis: Arthritis can occur in the vertebral joints which can cause back pain. Arthritic joints have the presence of bony spurs and inflammation, which can put pressure on the nerves. This can cause back pain, as well as radiating pain into the lower abdomen, groin, leg and/or foot. Symptoms other than pain can include burning, numbness and pins and needles. A physiotherapist can help you manage or reduce back pain and symptoms resulting from arthritis, and help you prevent future flare-ups. Symptoms of back pain can vary depending on the cause of your back pain. Back pain from poor posture can result in fatigued, achy, tight and/or sore muscles. Back pain from muscle strains tend to be achy or sharp pain, the muscles can feel stiff, and/or tender to the touch. Back pain from disc injuries and arthritis is usually localized pain, but some individuals may also experience radiating pain into their leg or foot. This radiating pain usually feels like a sharp shooting pain. Individuals with disc injuries or arthritis, also often experience muscle spasm or tightness in the muscles surrounding the back.